Decree 3.719, published in Official Gazette No. 6.420 of the Bolivarian Republic of Venezuela, indicates that the persons or companies that conduct operations with cryptocurrencies, or with foreign national currencies, have to calculate and pay taxes with cryptoactives, US dollars or euros, according to be the case. The payment of taxes in foreign currency will be exempt from transactions involving securities in the Caracas Stock Exchange, as well as the export of goods and services made by the public sector. The decree applies from now and throughout the Venezuelan territory since “it enters into force after its publication in the Official Gazette of the Bolivarian Republic of Venezuela”, as it is explained in Article 8 of the statement. The purpose of this measure is “to strengthen the tax control mechanisms, in order to improve the efficiency in national taxes collection”. This provision is issued based on “the framework of the state of emergency and economic emergency”, as explained in the public document. The Gazette explains that “passive subjects that conduct operations in the national territory, in foreign currency or cryptocurrencies authorized by the Law, through the Exchange Agreements signed between the National Executive and the Central Bank of Venezuela or by Presidential Decree, which constitute taxable events generators of national taxes, must determine and pay the obligations in foreign currency or cryptocurrencies”. Article 4 of this mandate indicates that the National Integrated Service of Customs and Tax Administration (Seniat, for its initials in Spanish) will dictate the regulations to establish the formalities for declaration and payment in foreign currency or cryptocurrencies. This public body will define the guidelines on tax payment with cryptocurrencies. On the other hand, the Superintendence of Banking Sector Institutions (Sudeban, for its initials in Spanish) will dictate the regulatory norms of the adjustments that must be made by the banking sector institutions, to guarantee the execution of the decree issued this Monday, January 7th. The Venezuelan Government exempted from payment of taxes in foreign currencies or cryptocurrencies to all “operations of securities traded on the Stock Exchange” and to “the export of goods and services, carried out by public bodies or entities”. According to the presidential decree, the determination and payment of tax obligations, in foreign currency or cryptocurrency, will be applicable not only to the tax, but also to its accessories and to the sanctions derived from its non-compliance”. Only cases of repetition of payments, recovery or refund of national taxes will be processed in national currency, applying the official exchange rate in effect for the date, as the case may be. The Ministry of Economy and Finance will be responsible for ensuring execution. The operations with currencies have become popular in Venezuela, this is due to the fact that the Bolívar has lost its ability to be a reserve of value, as a result of the hyperinflation that exists in that country. Even the Venezuelan government resorted to the use of cryptoactives such as Petro to obtain new forms of international financing. Currently, the country is looking for new ways to obtain foreign currency due to the economic situation it faces. 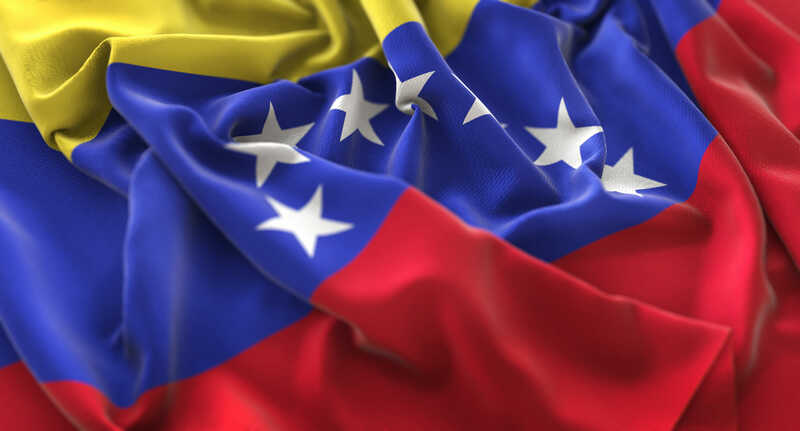 The post Venezuelan Companies that Use Cryptocurrencies Must Pay Taxes with Cryptoactives appeared first on CWJ | Crypto World Journal | Blockchain Nation - Building Better Blockchain Community.